The only way we can successfully heal and put the body back into a well functioning balance is to find the true underlying cause of symptoms and health problems. In this series of articles and case studies I will share many examples from my practice where the cause will be not something you would expect from the first glance. I also intent to show you the value of Iridology assessment in finding the root cause of illnesses. Every year more and more millions of people are taking cholesterol lowering prescription drugs and yet the leading cause of death is still cardiovascular disease. How it is possible? Could it be that there is more emphasis put on the symptom - namely elevated cholesterol – rather than on the actual cause of it? According to authorities in mainstream medicine, high blood Cholesterol is the cause of most of the cardiovascular diseases. They believe that Cholesterol is clogging arteries and creating plaques on walls of the arteries. Yet more than 50% of people who, for instance, have heart attacks have normal cholesterol levels. There are no studies or evidence which would show that lowering Cholesterol will lower the risk of heart disease. 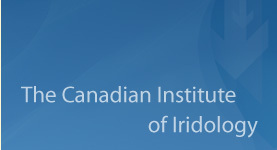 Content © Copyright of The Canadian Institute of Iridology 1989-2008. All Rights Reserved.